The existing Jotform&amp;amp;#39;s dropdown field only consists of a few special options such as the US States and Canada Provinces. Now, how about if you are living in Thailand and require to have a single dropdown field for Thai Provinces as part of your address fields? 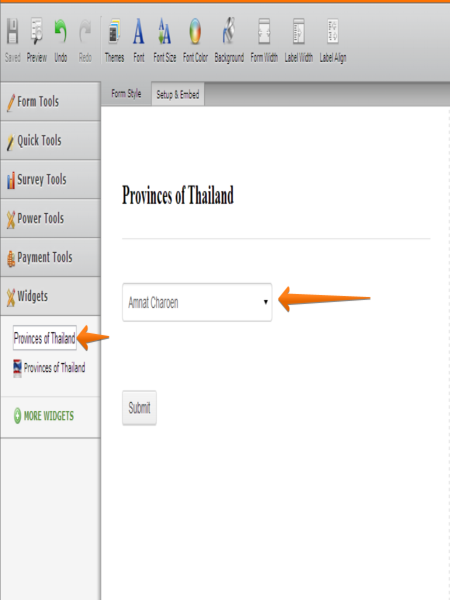 Worry no more, because Provinces of Thailand widget is the answer. Just search for the widget name in the Widgets section. Drag it to the editor and you&amp;amp;#39;re done!